Bill Parsley passed away February 12, 2018 in his home in San Amonio, Texas. Born November 17, 1945 to Robert Murrel and Fannie Mae Rees Parsley in Hendrick Memorial Hospital, Abilene, Texas. are many loving extended family members who survive Bill as well and dear friends and work associates. He was preceded to Heaven by his baby sister Mollie Mae, parents, Lydia, his wife of 35 years, and son-in-law Tony Sanchez. Early childhood years were spent with his family, as they moved to pastorates of their dad, and their mother’s teaching Home Economics in local schools. Bill graduated in 1964 from Wylie High School, Abilene and attended Hardin-Simmons University for 2 years. He met and married Charlcye Thompson. Bill pastored a small church in the Panhandle of Texas. He then moved his family to Houston, Texas, where Christy was born in 1970. After his marriage to Charlcye ended, he moved to San Antonio where he was blessed to meet and marry Lydia Rodriguez on May 29, 1982. Lydia was diagnosed with MS in 1990 after they had only been married eight years. Statistics show that most men would have run quickly, not Bill… He meam every word of his vows “until death do us part”; even when his health started to decline, he stood by Lydia’s side and took such wonderful care of her until the Lord called her home last January. He was always there for Lydia and the girls, no matter how difficult it became. He took care of all of them and they love him dearly. He then patiently waited for the day when they would be reunited. He’s now dancing in Heaven with his bride and his Lord! Though Bill had several different jobs throughout his life, he finally found his niche in the security monitoring field where he worked until he retired. Bill began in the security industry at Texas Security Central in 1986. He continued at Dispatch Center, LTD from 1999 to 2016. He was President of the South Texas Alarm Association from October 2001 to September 2005 and again from October 2008 to September 2009. As STAA President he also served on the Texas Burglar & Fire Alarm Association’s Board of Director. “On February 12, 2018, we lost a great man. 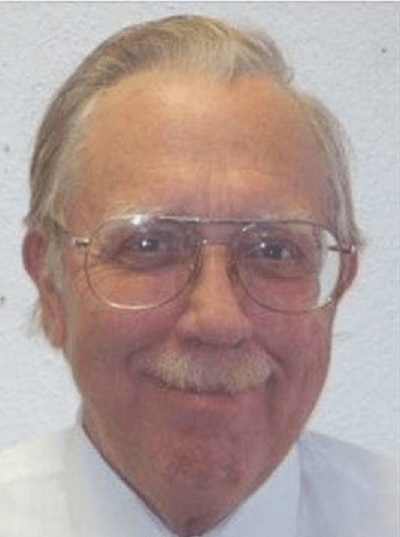 Bill Parsley was a long-time member of the alarm industry as an honest, up-standing man in the central station business who always went “above & beyond” when it came to helping others. That being said, I’d like to share with you a story of how Bill Parsley helped to shape my career. In February 1991, I was a young, unexperienced new-hire that was given the task of reprogramming around 300 DD1E communicators by a Lubbock company that was selling their accounts and exiting the alarm business. The alarm company didn’t provide a lot of training for me, but the central station they were using was Texas Security Central, and Bill Parsley was my primary contact. Even though Bill had not yet met me in person, he was always very responsive to my questions – even those that had more to do with equipment hardware or procedures than with central station signals. He and I spoke many times during that initial project, and he never let on that he had anything more important to do. The impression that Bill left on me was so favorable that I’ve often reflected back on it as a model for the way I should interact with my clients and cohorts. I’ve said many times that I “blame Bill Parsley” for me staying in the alarm business as I knew there were good people involved that cared about the industry and the people working in it. As positions and companies change, I found myself about 8 years later in San Antonio at a South Texas Alarm Association meeting, and I finally had the opportunity to shake hand with Bill Parsley and thank him for kindness and guidance.